Businesses can prosper only if there is constant innovation and diversification. Being aware of this trade mantra, online casinos have been introducing new games consistently so that there is something new for everyone all the time. 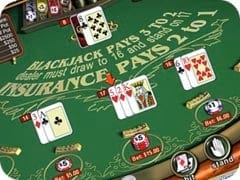 Every year new variations of blackjack, poker, and roulette are created by online software creators. This is done keeping in view the fact that the players do not get bored with the same games every year. New innovations in slot themes are also being done by slot machine designers. Software companies like RTG, Microgaming, Rival, and many others endeavor to introduce at least three new games every quarter. The result being that the slot players are having a field day with up to 20 new games every year. Special exclusive games are also drafted by online casinos once in a while. This trend is encouraging more and more online casinos like Sloto Cash to come up with new games all the time. Having released a couple of new games this year, they have just introduced another new online slot machine in their casino. The name of this new game is Doo Wop Daddy-O, and as the name suggests this slot machine will take you back in time because it has a 50s theme with 50s clothing, neon, and 50s ladies. Moreover, the symbols will remind you of typical ice cream or soda fountain shop. The cultural background is predominantly that of the 1950s of America, rather than of UK, and it will remind you of Portland. Players who might not have seen the 50s, or were too young to remember anything of that period, will find it to be a great way to learn about that time. Doo Wop Daddy-O has not yet been released, but it is likely to be released on August 24, 2010, as announced by Sloto Cash. It has twenty paylines with five reels. This fantastic new game has two bonus rounds with it, and many 50s to go around. There is a drag racing option in the bonus round. Milkshakes, sodas, burgers, and jukeboxes are just few parts of this game. People who do not have Sloto Cash account, and who are waiting eagerly for the release of this game, should gear up by opening an account so that they do not miss out on the fun and excitement of playing this fantastic new game. The organizers of the much-awaited Poker in the Park 2010 have announced that the complete information regarding the events, tournaments, and attractions of this year’s two-day fair, which is Europe’s largest poker fair, is now available on its website that is now online. People who are interested in the various attractions can visit the website http://www.pokerinthepark.com, where they will find detailed information regarding free poker tournaments in the Bodog Poker Dome and Red Hot PokerPlex. The special attraction at this year’s fair will be The Real Deal Poker Arena where Evander Holyfield, five-time World Heavyweight Boxing Champion, will play against poker players, and will also play a bout of heads up poker at a Casino at the Empire. There will be more live poker, more events, and more hospitality for the attendees than in the past years. Moreover, a dozen great marquees will be available at Poker in the Park 2010, which will take place on September 2-3 in London’s Leicester Square, where admission will be free.